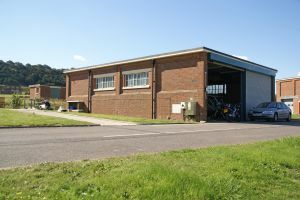 Workshop Building with brick elevations under a concrete panel roof. On one complete elevation forms two large roller shutter doors providing easy access to the interior of the building. Eaves Height 11 ft 10"